Earth Day 2013 - Make it About Change! PARENT AND INFLUENCER ALERT!! Our tweens and teens are watching us- make an impact! As kids age there is no denying that they look to the adults in their lives as true examples of behavior, habits, ideas, beliefs, etc. Demonstrating care for our environment by showing how to make their own small impact is ESSENTIAL at this point. You can’t keep putting it off or assuming that they’ll learn about recycling or other earth-saving habits at school. YOU need to make the difference. Join a coastal clean up of some sort. From beaches to lakes to the pond at your local park that may be polluted join a group or start your own. Make it a point to really recycle. Take a pledge as a family to make a difference. If you’re at a restaurant that does not offer recycling- take home your empty cans and bottles. Tell the owners. Start a conversation. If you’re attending a family party or function and the hosts are not recycling, get a bag and start collecting recyclables yourself. It will likely annoy the hosts, but you’ll show your kids and tweens that change starts with YOU. Reduce those long baths this year- or even your beloved shower. By making a shower just 3-4 minutes shorter you save thousands of water gallons per year. And if you make the shower cooler- you save mucho energy as well! Look to local community and local government organizations to see what they’re hosting and how you can join them- here’s an example: http://www.miamidade.gov/economy/ Other examples include: Girls & Boy Scouts, Boys and Girls Clubs, the Audobon Society chapter, historic homes and preservation leagues. If you are near any state or national parks, check their activity calendars. 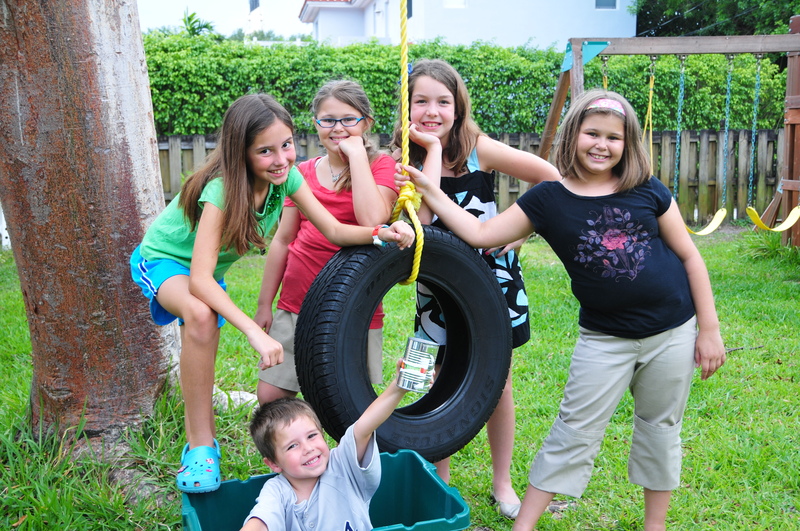 For our part, Los Tweens & Teens will be joining an environmental engineering firm for a local park clean up and we will support our community Girl Scouts program “Baynanza Clean Up” at Haulover Beach Marina near Sunny Isles Beach in Miami. We will share photos of our day and efforts. Please share photos from your community programs as well. We welcome photos or video of your small or big effort. The idea is not size or scope- just sharing the ‘conserve’ concept in some way. Please email images to team@lostweens.com. This entry was posted in Raising Tweens and tagged conservation, Earth Day, Earth Day 2013, environment, parenting advice, parenting ideas, Parenting Tips, parents, recycling. Bookmark the permalink. Allen, and President Barack Obama. That replenishes the self, brings glamour for an unglamorous some most significantly it perseveres. to join through the application.